There are many passages of Scripture that are plain, instructing the young, showing them clearly the will of Yahuwah concerning them. These plain teachings they must meet in the Judgment. Yet there is not one young man or woman in twenty who professes the present truth, who heeds these Bible teachings. They do not read the word of Yahuwah enough to know its claims upon them, and yet these truths will judge them in the great day of Yahuwah, when young and old will be judged according to the deeds done in the body. Says John, “I have written unto you, young men, because ye are strong, and the word of Yahuwah abideth in you, and ye have overcome the wicked one. Love not the world, neither the things that are in the world. If any man love the world, the love of the Father is not in him. For all that is in the world, the lust of the flesh, and the lust of the eyes and the pride of life, is not of the Father, but is of the world. And the world passeth away, and the lust thereof; but he that doeth the will of Yahuwah abideth forever.” (1 John 2:14-17). This exhortation to young men extends also to young women. Their youth does not excuse them from the responsibilities resting upon them. The youth are strong. They are not worn down with the weight of years, and with cares. Their affections are ardent, and if they are withdrawn from the world, and placed upon Yahushua and heaven, doing the will of Yahuwah, they will have a hope of the better life that is enduring, and they will abide forever, being crowned with glory, honor, immortality, eternal life. If the youth live to gratify the lust of the flesh, the lust of the eyes, and the pride of life, they are seeking for the things of the world, are pleasing their great adversary, and separating themselves from the Father. And when these things that are sought after pass away, their hopes are blighted and their expectations perish. Separated from Yahuwah, then they will bitterly repent their folly of serving their own pleasure, of gratifying their own desires, and for a few frivolous enjoyments, of selling a life of immortal bliss that they might have enjoyed forevermore. “Love not the world, neither the things that are in the world,” says the inspired apostle. Then the warning, “If any man love the world, the love of the Father is not in him.” It is an alarming fact that the love of the world predominates in the minds of the young. They decidedly love the world and the things that are in the world, and for this very reason the love of Yahuwah finds no room in their hearts. Their pleasures are found in the world, and in the things of the world, and they are strangers to the Father and the graces of his Spirit. Frivolity and fashion, and empty, vain talking and laughing, characterize the life of the youth generally, and Yahuwah is dishonored. Paul exhorts the youth to sobriety: “Young men likewise exhort to be sober minded. In all things showing thyself a pattern of good works; in doctrine showing uncorruptness, gravity, sincerity, sound speech, that cannot be condemned; that he that is of the contrary part may be ashamed, having no evil thing to say of you.” (Titus 2:6-8). I entreat the youth for their souls’ sake to heed the exhortation of the inspired apostle. All these gracious instructions, warnings, and reproofs, will be either a savor of life unto life or of death unto death. Many of the young are reckless in their conversation. They choose to forget that by their words they shall be justified, or by their words be condemned. Take heed to the words of our Saviour: “A good man out of the good treasure of the heart bringeth forth good things; and an evil man out the evil treasure bringeth forth evil things. But I say unto you, That every idle word that men shall speak, they shall give account thereof in the day of Judgment; for by thy words thou shalt be justified, and by thy words thou shalt be condemned.” (Matthew 12:35-36). How little regard is paid even to the instructions of the heavenly Teacher! The word of Yahuwah is either not studied at all, or if it is, its solemn truths are not heeded, and these plain truths will rise up in Judgment and condemn them. Words and acts testify plainly what is in the heart. If vanity and pride, love of self and love of dress, fill the heart, the conversation will be upon the fashions, the dress, and the appearance, but not upon Yahushua or the kingdom of heaven. If envious feelings dwell in the heart, the same will be manifested in words and acts. Those who measure themselves by others, and do as others do, and make no higher attainments, and excuse themselves over the wrongs and faults of others, are feeding on husks, and will remain spiritual dwarfs as long as they gratify the Devil by thus indulging their own unconsecrated feelings. Some dwell upon what they shall eat and drink and wherewithal they shall be clothed. Their hearts are filled with these thoughts, and they flow out from the abundance of the heart, as though these things were their grand aim in life, their highest attainment. They forget the words of Yahushua,”Seek ye first the kingdom of Yahuwah and his righteousness, and all these things shall be added unto you.” (Matthew 6:33). Satan is gratified to have the attention of youth attracted by anything to divert their minds from Yahuwah, so that the deceiver can steal a march upon them, and they, unprepared for his attacks, be ensnared. They are not aware that the heavenly Artist is taking cognizance of every act, every word, and their deportment; and that even the thoughts and intents of the heart stand faithfully delineated. Every defect in the moral character stands forth revealed to the gaze of angels, and they will have the faithful picture presented to them in all its deformity at the execution of the Judgment. Those vain, frivolous words are all written in the book. Those false words are written. Those deceptive acts, with the motives concealed from human eyes, but discerned by the all-seeing eye of Jehovah, are all written in living characters. Every selfish act is exposed. The young generally conduct themselves as though the precious hours of probation, while mercy lingers, were one grand holiday, and that they are placed in this world simply for their own amusement, to be gratified by a continued round of excitement. Satan has been making special efforts to lead the youth to find happiness in worldly amusements, and to justify themselves in thus doing, by endeavoring to show that these amusements are harmless, innocent, and even important to health. The impression has been given by some physicians that spirituality and devotion to Yahuwah are detrimental to health. This suits the adversary of souls well. There are persons with diseased imaginations who do not rightly represent the religion of Yahushua; such have not the pure religion of the Bible. Some are scourging themselves all through their life because of their sins; all they can see is an offended Yahuwah of justice. Yahushua and his redeeming power, through the merits of his blood, they fail to see. Such have not faith. This class are generally those who have not well-balanced minds. Through disease transmitted to them from their parents, and an erroneous education in youth, they have imbibed wrong habits, injuring the constitution, affecting the brain causing the moral organs to be diseased, and making it impossible for them upon all points to think and act rationally. They have not well-balanced minds. Yahuwahliness and righteousness are not destructive to health, but are health to the body and strength to the soul. Says Peter: “He that will love life, and see good days, . . . let him eschew evil, and do good; let him seek peace, and ensue it: for the eyes of the Master are over the righteous, and his ears are open unto their prayers; but the face of the Master is against them that do evil.” (1 Peter 3:10) “But and if ye suffer for righteousness’ sake, happy are ye; and be not afraid of their terror, neither be troubled.” (1 Peter 3:14). The consciousness of right doing is the best medicine for diseased bodies and minds. The special blessing of Yahuwah resting upon the receiver is health and strength. A person whose mind is quiet and satisfied in Yahuwah is in the pathway to health. To have a consciousness that the eyes of the Master are upon us, and his ears open to hear our prayers, is a satisfaction indeed. To know that we have a never-failing Friend in whom we can confide all the secrets of the soul, is a privilege which words can never express. Those whose moral faculties are beclouded by disease, are not the ones to rightly represent the life of Yahushua, or the beauties of holiness. They are often in the fire of fanaticism, or the water of cold indifference or stolid gloom. The words of Yahushua are of more worth than the opinions of all the physicians in the universe. 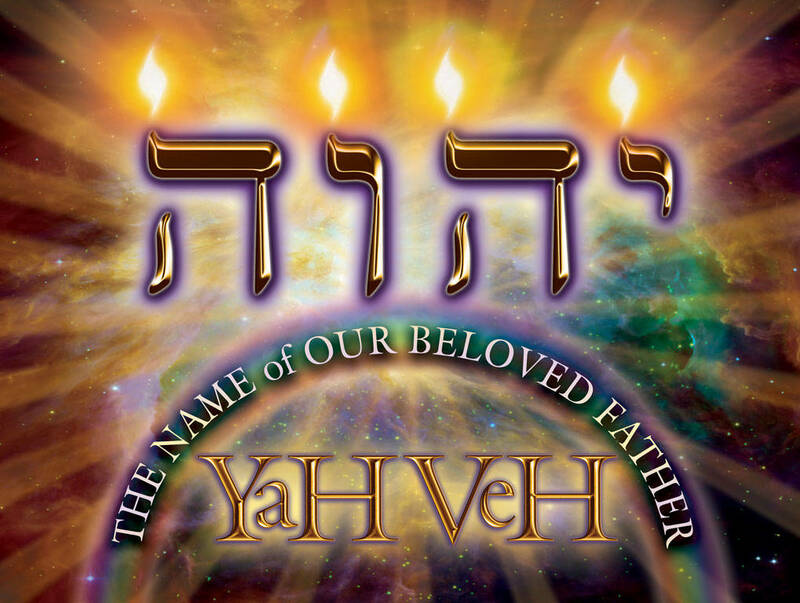 “Seek ye first the kingdom of Yahuwah and his righteousness, and all these things shall be added unto you.” This is the first great object–the kingdom of Heaven, the righteousness of Yahushua. Other objects to be attained should be secondary to these. We have taken out from the original article all pagan names and titles of the Father and Son, and have replaced them with the original given names. Furthermore, we have restored in the Scriptures quoted the original names of the Father and Son, as they were originally written by the inspired writers of the Bible.